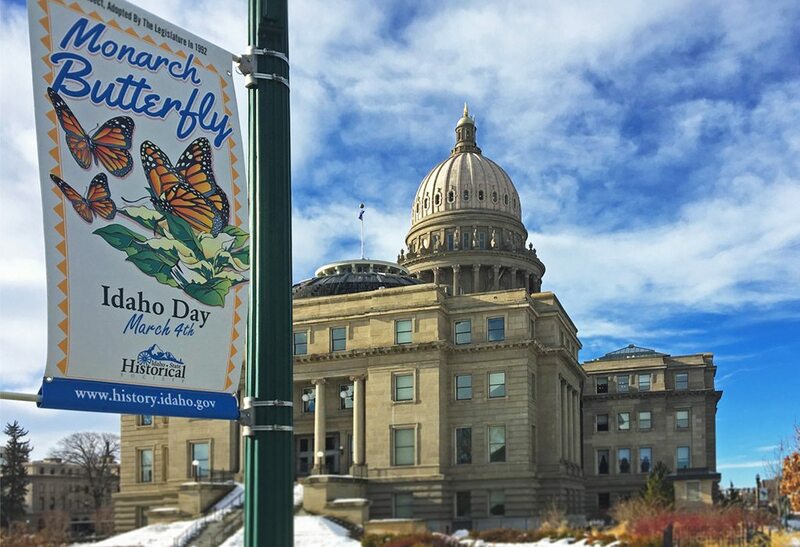 Our annual “Idaho Day” project is once again complete and the banners are hung. This year we’ve surrounded the Idaho State Capitol building with state symbols complete with legislative adoption dates. Working with The Idaho State Historical Society, Communications et al, Drotleff Creative, and CMYK Graphics, our idea for an illustrated representation of the state symbols of Idaho has been realized. Get your history lesson while walking around the Capitol in downtown Boise, or check them out below.